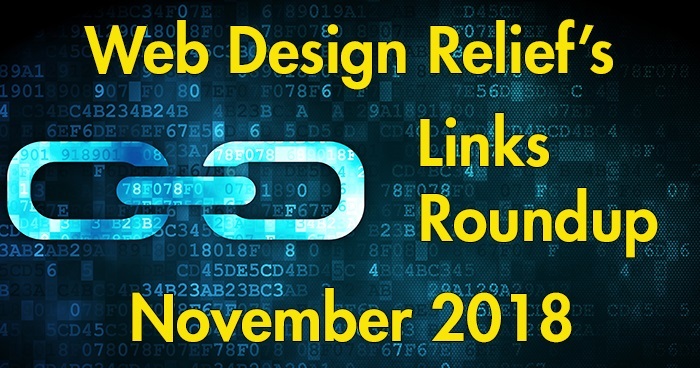 Welcome to November’s Links Roundup—and we’re ready to talk turkey about the latest tech news on the Internet for writers! Our Web Design Relief research experts have found something for everyone: how Instagram can improve your writing brand; important tasks to remember when launching a new blog; how CSS Hero can save you time and energy on WordPress; and the state of blogging today. Whether you create your own author website or we create one for you, we want to give you the best possible tools to build an effective online author platform and get your writing out there for the world to read. 10 Instagram Tips for Writers – via Jane Friedman – Instagram isn’t just for teenagers—it’s virtually a must for the savvy writer! Jane gives you insider tips as to what makes her Instagram account so effective and how you can boost your own Instagram interactions. 8 Important Admin Tasks to Do When Launching a New Blog – via ProBlogger – Launching a new blog is exciting, but Darren Rowse explains how it’s easy to look like a newbie when you overlook these important admin tasks. Make sure you add these to your to-do list! Edit Your WordPress Theme’s CSS Without Learning How To Code Using CSS Hero – via Blogging Wizard – What is CSS? It’s a coding language used to style the elements of your WordPress website. Colin Newcomer reviews how CSS Hero can help you make edits to your author website like a pro. Learn more about it here. A Blog Isn’t a Blog, It’s a Business – via Neil Patel – When you’re running a blog, you’re not just creating content—you’re representing your author brand. Neil Patel discusses how blogging has changed over the past decade, and what you need to know to successfully blog using current market trends.